I’ve been playing the beautiful game for over 25 years. About 10 years ago I really started getting into watching international games. In fact, I have a library of VHS tapes (yeah, you heard it right) that I still watch almost every night. France vs. Brazil in the 2006 World Cup is a classic, in my opinion. Zidane was artistic in his simplicity. Dominating in his elegant play. Mesmerizing in his vision and execution. He was the man. I studied him. I copied him. I tried to imitate him. I rewinded and replayed his movements on the tv, in my head and then in my movements as I spent hours trying to replicate his moves and technique. There was some benefit to my game from my Zidane studies. But what was even more beneficial was… studying Zidane helped me learn not only how to teach myself, but how I could break it down and teach someone else. It’s one thing to be good at the beautiful game, but it’s another level to be good and pass on that goodness to the youth. 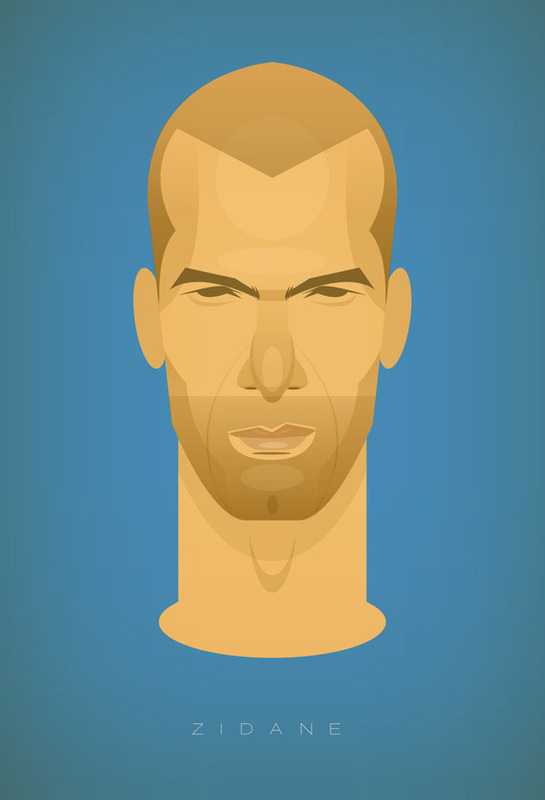 Make sure to check out the amazing Zidane print (and other soccer prints) by Stanley Chow.